We all know that in the promotional advertising industry most, well at least from what I have seen, end users prefer large imprint areas and imprinting their company logo using the maximum imprint size possible. While some products do not allow enough room for large imprint areas, such as pens and keyholders, many do. Below are THREE promotional products from the Lindero Brands’ line that have large imprint areas. 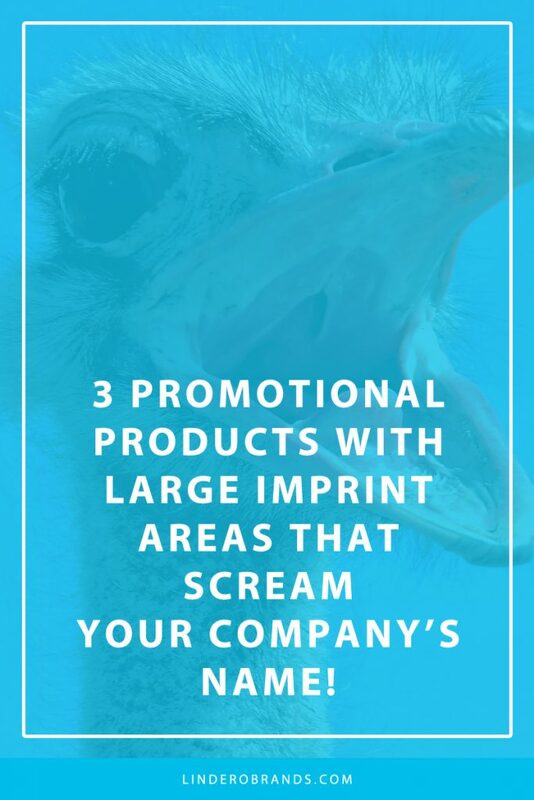 3 Promotional Products with Large Imprint Areas That Scream Your Company’s Name! 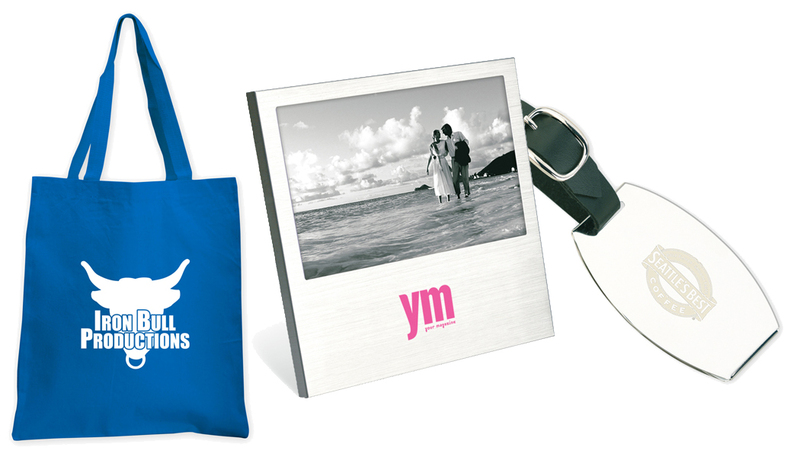 Photo Frames – The Drive-In photo frame has an excellent location for a large imprint area. Screen print it with a splash of color to make it pop out even more! Add your logo on either the drive-in frame found in brushed or high-polished aluminum. Place memorabilia photos as center pieces at a wedding engraved with your wedding date or display dessert menus at corporate meetings. The possibilities are endless. Tote Bags – Found in our Orangebag collection which has a wide variety of selections to encompass a large imprint area allowing your company’s logo to stand out in the crowd. The Orangebag Shopper shown above in royal blue makes an excellent selection to show off a large company logo. Also, available in black, natural, navy, red, and white colors to accent your company’s colors. Luggage Tags – And if you need to make the logo bigger you can always ask to increase the standard imprint size to allow for a maximum imprint. It never hurts to ask but may cost an additional run charge to cover a larger imprint area to accommodate the logo. Setup Fees for Promotional Products, What are they Exactly?